Founded in 1997, Golden Gate Systems originally specialized in support services and sales of HP3000 systems, disks, and tape devices. We continue to support customers who still homestead on this platform. Clients include State and Local Government Agencies, Education, Commercial SMB and Enterprise. Golden Gate Systems has factory trained engineers with 33 plus years of extensive experience in the information technology field. We are expanding our partnerships with vendors to meet the ongoing business needs of our clients. 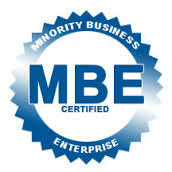 Golden Gate Systems is certified as an SBE, MBE, and DBE entity.